Impulse! has prepared another load of twofer reissues of albums from their extensive library. Some are classics; others are much less well known. I’m gonna dig through and review the ones that impress me the most. These two albums by trumpeter Freddie Hubbard, from 1962 and 1963 respectively, immediately predate his lengthy tenure with Blue Note, and despite fitting comfortably on a single CD, they’re very different from each other. One points the way to his primary career arc, while the other is a fascinating and glorious experiment. And the weird thing is, if you had to guess which one was which based on album titles alone, you’d probably guess wrong. 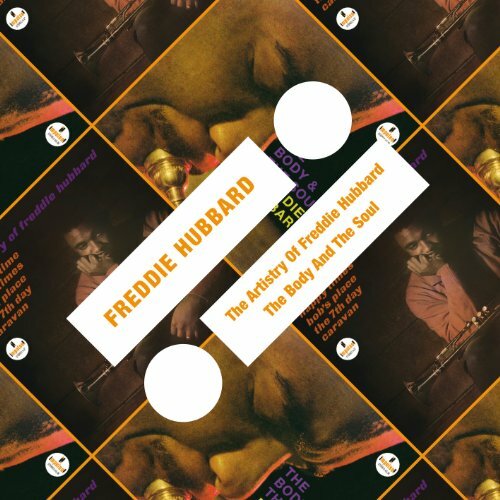 The Artistry of Freddie Hubbard, from 1962, is a straightahead hard bop album, albeit one with a particularly interesting lineup. The trumpeter is joined by trombonist Curtis Fuller and tenor saxophonist John Gilmore, in one of his rare non-Sun Ra-related sessions. The rhythm section is Tommy Flanagan on piano, Art Davis on bass and Louis Hayes on drums, and they’re all fine. Flanagan might be best known to this day for his playing on John Coltrane‘s Giant Steps, but he’s got a light touch and a way of combining cocktail piano with the blues that doesn’t so much drive the bluesy, hard-swinging grooves here as adorn them somewhat. It’s up to Davis and Hayes to do most of the heavy lifting, hurling the music forward, and they do so admirably well. The drummer, in particular, has a subtle way of kicking things into a higher gear whenever it feels like the groove may become rote. Meanwhile, Hubbard, Fuller and Gilmore take turns at the microphone on three originals by the trumpeter and two standards—”Caravan” and “Summertime.” Hubbard’s trumpet sound is beloved of jazz fans for a reason; he really was one of the most awe-inspiring players to ever pick up the horn, a forceful blower with terrific presence in the upper register and a melodic sense that was intuitive and welcoming. He always remembered that he was playing a song. For example, the album-opening version of “Caravan” isn’t as deconstructed as some I’ve heard, but neither is it as slavishly “exotic” as some better-known recordings. On the other hand, the version of “Summertime” dispenses with the song’s primary melody pretty quickly, in favor of 10 minutes of loping rhythm and high-flying trumpet work (and even at that length, it ends with a fade). The three Hubbard compositions (“Bob’s Place,” “Happy Times” and “The 7th Day”) are pretty much just platforms for bluesy, but thoughtful soloing. But what’s wrong with that? When it’s being done by players as unique, as skilled, and as hypnotically captivating as Freddie Hubbard, Curtis Fuller and John Gilmore (whose gritty, occasionally harsh style is a perfect complement to the trumpeter’s lush, impeccable lines), not a thing. Well written review, very insightful. Will definitely check this out.